Tony Jones is U18s assistant physio and also oversees the schoolboy physiotherapy programme. After attending secondary school in Southport he left early to try and new adventure attending a high school in Georgia, USA where he continued his studies and discovered he had a talent to play basketball. Tony was offered a full basketball scholarship in Georgia and he also studied sports therapy. After returning from the USA, he earned professional contract with the Manchester Giants basketball team. He enjoyed six great seasons with the Giants, winning league titles and various domestic cups along the way. He then moved to Barcelona for two years before returning home to begin a physiotherapy training at Salford University. Tony was also lucky enough to play basketball at international level for England U16s, U18s and U21s and was also called up to the senior men’s team on occasions. 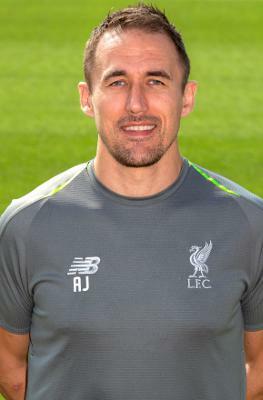 He has now worked at Liverpool’s academy for four seasons, three of them on a part-time basis.